In the last (close to) 10 years, we've introduced over 1,000 unique zones, 3,000+ monsters, and almost more gear than a hero can count. With your help, we've had an incredible amount of amazing adventures, and have built a game we are truly proud of. But a hero never stops training, and WE never stop working to improve AQWorlds. We've released a new update each week (sometimes multiple updates per week) for over 450 weeks. In any area of life, it is much easier to focus on the NEW and the NOW - whatever you are currently working hardest on. That's true for our teams, too. But it's also really important to make time to revisit what we've done before and improve it where we can. That's why, each month in 2018, the development team will revisit one of the game's early zones to polish, enhance, and improve what we've created. The Goal: take the early zones in AQWorlds and polish them until they shine as bright as new. We want to make sure all the new heroes joining us each week have as polished and fun an experience as possible, and that we address any outstanding issues lingering in the favorite zones of our long-time, legendary heroes. Before each revitalization begins, we'll give all our players, old and new, a chance to give targeted, focused feedback on the coming zone. We'll use that input as we map out plans for each area's adjustments, fixes, and improvements. 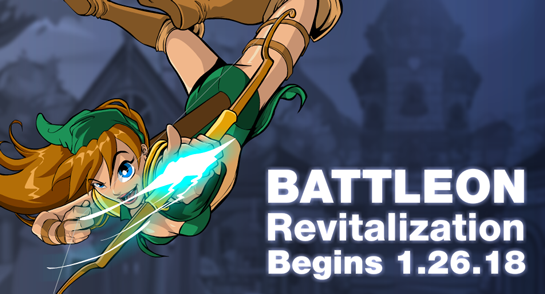 Keep an eye out for where you can submit your Battleon and Greenguard feedback soon. We also know that many of you heroes who've been with us since the beginning LOVE the art style of the earlier areas. Do not worry -- we will not be giving these areas a facelift -- the NPCs, monsters, and gear you know and love will stay the way you remember. Our focus with the zone revitalizations is to improve the feel and flow of each area, not overhaul its appearance. Will this reset progress in the storylines? No, your progress should not be reset in any of the storylines. How deep will these changes go? The revitalization will be the full focus of the dev team each week, so changes and improvements will go as deep as we can/as needed.